As the growing season comes to a close, it's a good time to dream about the possibilities of spring. 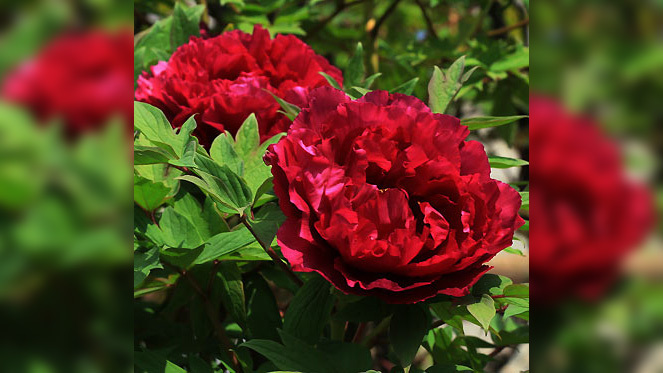 In that spirit, I've picked the Japanese tree peony "Houki" as the plant of the week. With bright red massive blossoms atop a four foot tall shrub that can reach five feet wide, "Houki" follows the spring show with a vibrant explosion of its own. Best planted on a rise in a woodsy soil with at least half sun.